Document your Sixer project here. My name is Song and I am a first time BMW owner. 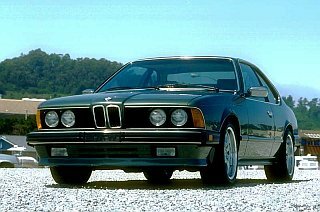 So I've been absorbing all I can about the e24 (didn't even know it was called that 3 weeks ago) because I have come across a pretty nice car totally by chance. This is the story of how I came across my next project car. My daughter just got her license and we needed to get her a car. I was looking around for cars under a certain price range, when by total chance I came across a non-operative BMW 633CSi for sale. Hmm, I could give my daughter the family car and I could drive a old car. This was a very interesting old car. I called the number and talked to a college student. He told me that his Grandpa just passed away and he inherited his house along with a few old cars. this was one of the old cars. It hadn't been registered since 2010 (5 years) and had just been sitting. He knew nothing about cars and just wanted to find a good home for it. I arranged to go look at the car and see if it was salvageable. So I headed over to his house 3 weeks ago and looked at the car. It presented pretty well, along with an old e9 that was covered under a bunch of junk in the garage. (That barn find is a separate thread in this forum). I couldn't commit the amount of time the barn find needed, but I was willing to give this 633 a shot. Now, I have never owned a BMW. I have had lots of other German cars though. This was a challenge. I made a deal with the seller. If he would let me come work on the car over the weekend, I would buy it from him if I could get it running. If I couldn't get it running, he would get a lot of free parts and service and I would walk from the deal. To make a long story short, the next weekend I changed out a few hoses, the thermostat, put in a new battery and then changed the oil an flushed the cooling system. Guess what? The car fired up! So I got a new vehicle. Moving it to my house was an adventure in itself. I had to move it at night. So I had to change bulbs in the dark, get a moving permit, put on some non metric tires and then cross my fingers that 5 years didn't kill the brakes and suspension. So my story begins. I am sure that I will benefit from the awesome support and advice from people on this forum. I love communities like this! After a 11 mile trip in the dark with a lot of bad instrument lights and an odd burning smell, I finally get the car home. The tools are mostly there, but why are they so rusty? It looks straight and sleek! I really like the look of this car. This angle sold me. Last edited by songzunhuang on Tue Sep 01, 2015 7:03 am, edited 2 times in total. Here are a few other pictures of various parts of the car. The engine was dirty, but it seemed solid. Many hoses need replacing and some electrical looks kinda shot, but all fixable. The interior is mostly good. I already got a new steering wheel from eBay and I discovered that the instrument cluster has issues as I drove home. Many items didn't work. The speedo and coolant (SI board?) and many lights are just not there. The "D" indicator for drive, some of the console lights, the light above the tach, etc. And why is the defroster light always on? Then there's the mystery switch under the right side on the instrument panel. Of course the pods are a disaster and the sound system is a bit of a joke. Oh, and the sunroof won't open. Still, it's a solid car! Pretty decent shape. There's a tear and a few worn spots, but I can fix it. Front seat power adjustments mostly work. Driver's side has a few issues. A few seams coming apart. The motor is really dirty. Lots of detail work to do here. Oh no, created new topic on accident! Uh oh, I was trying to add to this post and realized that i accidentally created a new post. Here's the link to the continuation of this post. If one of the forum admins could somehow move that post above under this topic, that would be awesome. I don't want to retype it all again. Re: Oh no, created new topic on accident! They are ALWAYS rustier than you thought!!!!!! Are you sure that worked? I don't see my other post and the link above has also stopped working for me. Please advise. Thanks. Sorry Song. Something happened and it has deleted it. Many apologies. Post the last 7 of the vin so we can see what you've got. Memorize those numbers and they are the first step in ordering parts. I've done the VIN check and it's just what I expected. Today, I take the car to get smogged. This is a requirement in California before I can get the registration completed. The car appears to burn clean. We shall see if 5 year old gas has the same properties as brand new gas. Sorry about the thread being deleted. That isn't normal. But, you don't have to start from the beginning as we have seen your great postings. It's up to you of course. I hope you changed the air filter & plugs before your smog venture? Ps; Guys, the new owner knows nothing about cars? This just may be your lucky day. Maybe offer him $1000 & negotiate from there? Some Cali locals have a set of procedures to ensure (or at least raise the probability of) passing the smog test. I'm from NYC, but bad gas, old plugs, dizzy cap and dizzy rotor and a pre-test warmup would be on my list to correct. Why waste your time with the smog cops? I hope you went to a smog place the offers a second chance for free? I appreciate the tips. I did not change the air filter or the plugs. I just drove it around last night and the topped off with new gas. This morning my drive to the smog station was literally 3 minutes. They tried to test it And then made me drive it around some more to warm it up! Apparently they couldn't get the 2nd reading that's required because the engine wasn't at operating temp. Well, I'm glad to report that it passed with flying colors. I'll post the results this evening. I was even surprised it was burning so clean. Here's a funny aside. As they were testing, a small coolant leak appeared at one of the hose junctions. The mechanic got a screw driver to tighten a clamp and as he was tightening, the radiator failed! Yup, it started spurting coolant at the top drivers side at the plastic aluminum junction. Sheesh! I ordered a new radiator and water pump late this morning. The happy ending is - they passed my smog and I can complete the registration and licensing; however, the car ain't going anywhere until it's repaired. Sigh....old cars. So these are the pictures that got lost in the attempted moving of the post from yesterday. Basically after I got the car home, I started the long process of vacuuming it out, washing it up and beginning a list of things that needed to be fixed. It's a long list. 1. Coolant leaks! New radiator and pump along with hoses ordered. 4. Door locks don't work with key. Ignition and trunk fine. 5. Speaker pods are a mess. 6. Stereo barely makes static. Speakers are shot. 7. New Steering wheel - bought on eBay already. 8. Need tires - and maybe wheels. 10. Power drivers seat has issues. Mostly ok, but reclines one way only. 11. Sunroof dead. I can hear a motor, but no action. 12. Headliner falling in a bit. I have a lot of questions that I hope folks can help me with. But before we get to that, here are a few shots of the car. I saw a bit of rust spots and started to look for the culprit. Well it is not here! With the seats out, the metal looks really solid. Better shot of the interior. With some dye and Groits leather rejuvenator, this may turn out ok. In this view you can see how the car sits and also how it looks with the puny 14&quot; wheels. It is period correct. A shot of the driver's side 3/4 view. Last edited by songzunhuang on Sat Sep 05, 2015 5:13 pm, edited 1 time in total. So early this morning with a lot of moisture in the air, where I discovered that I need new wiper blades, I took the car to get smogged. I had driven it around the night before and learned that I had many instruments light that didn't work. I didn't change the plugs or air filter. I did put in some fresh gas. In any case, I have to get a smog certificate to license the car in California. The testing began. After a few minutes, they told me I had to go drive the car around the block because it had not warned up yet. I only live a few minutes from the this smog station. As they were re-checking, we spotted a coolant leak. The mechanic got a screwdriver to tighten the hose clamp and then the radiator failed and started to squirt hot coolant. Ah, the joy of an old car. Despite all this, he passed my car! I topped off the coolant and drove the 3 minutes back to my home. So I can now get the car registered. However, I will need a new radiator. Just for good measure, I also ordered a water pump and some hoses. Here are the results of the smog test. I'd say my car killed it! With only 1 PPM of HC and 0.0 (not even measureable) of CO, I'd say I was well within new car territory. Look at the Max and Avg and you'll see this car did very well. The very first visit to a service center was to get smogged. All cars have to get smogged in California to change owners and also to get registered for operation. This vehicle will not be no-op much longer. You're lucky they do not test for NOX in your area. Congrats on passing and getting registered. CA laws require road cars newer than 1975 models to have smog tests but the tests vary by area. You should find the scrap yards around your area as well. Many cars with applicable wheels/tires show up so you might get lucky and find a complete set for about $200. The drivers seat issue is typically loose screws holding the gearbox together. The screws loosen up and cause the gears to lose contact. Easy fix with the seat out. There is a very fine line between "Hobby" and Mental Illness. Ralph in Socal wrote: You're lucky they do not test for NOX in your area. Congrats on passing and getting registered. CA laws require road cars newer than 1975 models to have smog tests but the tests vary by area. I've been keeping an eye on Craigslist and a lot of wheels show up. I haven't seen too many for $200 though! As for the seat, I took apart and checked the side towards the door and saw how it worked. Seems the cable has a hard time staying inside the gear it's supposed to turn. Also the side toward the console appears stuck. I didn't have time to remove the seat so that task is saved for another day. Thanks for the tip. So just as I was thinking new wheels would be nice, I score a set of 5 (yes 5) wheels with tires on them. I'll replace all 4 and have a spare as well. These are from a 5-series (e39), which I understand has the right offset. I also understand that I'll need some hub-centric rings to make it all fit, but I found those at the tire store for a mere $5 for a set of plastic ones. I get to pick these up on Friday and I think they will look fabulous on the car. They will go on over the weekend. These are just the wheels that I am after! Very happy and can't wait to see them on the 633CSi. Tip: Never get plastic rings! Think about it, plastic is temporary, it breaks up. It's also best to find wheels that don't need offsets. find some that are already suited for our wheels. Remember?? The ones that include tires? GripGreg wrote: Tip: Never get plastic rings! Hang on, after hours of scouring the forum, my understanding was that anything with a 20-23 offset would work fine. The ones I got have 23. I also saw that wheels off a 5 series (e39) should work fine as long as I have the hub-centric rings. As for the hubcentric rings, it seems a divided opinion base there. Some say aluminum is too soft, others say it is fine. Some say plastics won't fuse themselves to the wheel or tire and that's an advantage. Then there's wicked cool stainless rings - which I will probably look for. For now, the plastic ones were easy to find at my local tire store. I'll order some type of metal rings online once I figure out how the wheels I got will work out. Bit of confusion there . . .
Last edited by GRNSHRK on Thu Sep 03, 2015 11:03 pm, edited 1 time in total. rub just a little wheel bearing grease on the side away from the wheel so it won't fuse up. Not much 'cause it'll squirt out. And, plastic spacers, over time will of course break because of the weight they bear. That's my opinion & I'm sticking with it! The rings also come in different widths/thickness's so,,,it's all a guess. They just don't make sense. And, if you go out too far it compromises the suspension? the hub rings needed to adapt E39 wheels to an E24 is a set of 72.56mm to 74.1mm rings. The 72.56 size may be shortened in the description to 72.6. It'll still work. I've run plastic rings on my '84 633 for several years, having the wheels off many times for cleaning, tire changes, and brake work and never had any problem with them distorting due to the weight they bear. The car has been run hard with no apparent effect on the rings. However, the aluminum rings that were on it when I got the car were firmly attached to the hubs due to corrosion. I managed to salvage one of them. The rest were ruined in the process of removing them from the hubs. I am pretty sure they would have been fine if the previous owner had taken the least bit of time to coat them with grease before installing them, and had cleaned the hubs, too. An aside here (sorry for the hijack) The previous owner was a lazy slob, and he did as little as possible to keep the car on the road. There are many things that would have been so much nicer now if he'd have cared at all about what he had, and done just the tiniest work to preserve the car. He eventually abandoned the car and disappeared under mysterious circumstances, leaving a mountain of debt and a wife holding the bag. '84 633CSi "Sylvia"; '85 635CSi "Katja";'87 325is "Odette"; '93 325is "Elvira"; '95 M3 "Ashlyn"
Thank you, I appreciate the info. I wish there was some folks close by to supervise as I tear into the car this weekend. I've had parts arriving all week and pretty soon it'll be time to go for it. Also, I noticed in your signature that your 84 633 is Sylvia and "Ill tempered woman"! Why do you say that? Am I in for an unpleasant ride? The car I picked up will need a lot of things fixed up before I can drive her daily. First order of business to to keep her from losing all her fluids! The best way I can describe the "Ill tempered woman" moniker is that the car seems to be a cantankerous money pit. It is a blast to drive when it works....but it frequently won't work. Right now it's sitting dead in my yard with what is probably a dead fuel pump. It had been running great for weeks, until I parked it at the front door a few months ago. Later that day I got in it to make a run to the drugstore, and she just spins with no offer to fire up. I've been through all the usual diagnostic stuff like CPS/speed sensor tested, relays replaced, relays bypassed, even put the spare 008 DME in it with no change. That was about the time I got really sick in late June (circulatory problems) and I've been recuperating since then. I need to move the 633 to the shop 100 yard away. It's tiresome dragging tools and test equipment down here. It has been trustworthy enough that I've taken several long (200+ mile) drives with her, but it breaks down at the oddest times. By the grace of God it's always been here at home or close enough that I could get it back to the shop to work on it. I'd hate for her to throw a fit on the backroads of Mississippi or Alabama. I carry an incredible array of spare parts and tools, but it seems it's always what's at home is what you need. I blame the original/previous owner for 95% of what's wrong with her today. Like I said, the guy was a terrible slob, and would run the poor car nearly out of oil, or drive with the brakes worn to nothing. After a fellow BMW club member bought the car at a police/abandoned vehicle auction (for $400) I got it from him, and spent over $3000 just correcting the mechanical problems. Most of what's wrong with the reliability now is electrical glitches. Put your mind at ease. You didn't make a mistake buying it. So today I picked up my new wheels and also got some hub-centric rings. It's amazing how seeing something makes it all clear while trying to imagine it all while reading is not so easy. For the benefit of other newbies like me, here's a bunch of pictures so you'll understand. Here they are all installed in the wheel. You can barely make them out. They are only filling a 1.2mm space. When you are trial fitting these, it's pretty clear how they are supposed to fit. Here's what a set of hub-centric rings look like in the bag. You can see that they are not just flat rings. This is the proper size for the e39 (5-series) wheels that I am fitting on my e24 (6-series) 633CSi. Thanks to this forum, I was able to get the exact size. These were $5 for the set.